At World Assembly of Youth (WAY) we recognise the effort put in by volunteers and the contribution they make to all programmes and activities in our global community. Since its establishment in year 2006, the World Assembly of Youth’s Volunteer Programme was initiated as a platform that links the youth all around the world that seeks to develop a dedicated group of young people who are willing to assist in WAY programs and activities around the world. This programme works towards the elevation of youth and their development into leaders who are willing to donate some of their time and energy to support WAY in achieving its goals and aims. This program aims at bringing together youths of different age, race, background, and ethic group to interact and share ideas while fulfilling their duties as volunteers. It also strives to develop the youth by exposing them to an environment in which they get to realize their potential and explore their untapped capabilities. 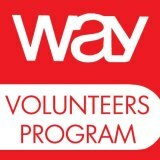 Currently, WAY has over 900 volunteers from all over the world, striving to make a difference. Volunteers gain experience and become very innovative while participating in this programme, some of these innovative ideas they execute in their respective locations. The participants have the opportunity to meet people, make contacts, form relationships and thus gaining access to business-related benefits such as career advice, job leads, business referrals, useful information and emotional support. Follow the organization policies procedures and guidelines and to promote the interests of the organization. Treat participants and staff with respect. Treat all personal information as confidential, and sign an undertaking to this effect. Start with tasks which can be performed effectively and reliably. Be accountable for quality of work and accept evaluation by the organization staff on work done. Commit to working as a reliable member of a service team and give reasonable notice of non-attendance due to either illness or other emergency. Be prepared to learn, attend training and ask for support when needed. Be clear and honest about how much commitment and time a volunteer can give. Be determination to make a difference. Be willingness to travel internationally. Be able to join international relief and emergency programs coordinated by WAY. The volunteer form must be filled in and submitted to the Secretariat. Either one of the official languages of WAY (English, French and/or Spanish) must be used. The volunteer must be on time and reliable. The volunteer should realize that they represent WAY at any programs or activities and no other organization. The volunteer will come regularly, as per their stipulated time and days. If the volunteer is unable to come on the stipulated date, the immediate supervisor must be informed preferably in advance. If Volunteer’s behaviour distresses anyone at the volunteer placement or the organization, WAY shall consider terminating the agreement with the volunteer. Progressive responsibility: continuously refusal to take part in responsibilities shall be considered not workable. Volunteer is found to be involved in any illegal activities or criminal activities during the period of their placement. Volunteers should not give instructions directly to the caretakers or drivers or negotiating with partners and there should be no interference with the day to day activities. The volunteer will consult with the concerned WAY staff before implementing any activity. Attention should be devoted equally to all participants and favouritism must be avoided. Volunteers will take responsibility for activities assigned to them during their placement. Volunteers should understand only necessary information will be provided to them. Volunteers will not engage in any missionary activities or preaching. Volunteers will not participate in any political activities but instead use common sense and take reasonable precautions throughout the placement whether concerning a venture activity or during their spare time. Volunteer need to be comfortably and appropriately dressed, abiding by the dress codes as given in the agenda. Volunteers make the most of their time and knowledge in the programme.